Properties in Kairaki Beach average 4.4 out of 5 stars. Comfortable Holiday house family friendly. NEW TO HERE! Property 4: Comfortable Holiday house family friendly. NEW TO HERE! Property 10: Picnic by the river, relax and enjoy! Property 14: "The Blue Bell Cottage"
Cavendish Farm, Self Contained Cottage. Property 18: Cavendish Farm, Self Contained Cottage. Cockle Lane Studio 1 - A beachside getaway, just for you. Property 39: Cockle Lane Studio 1 - A beachside getaway, just for you. Ohoka Park Country Retreat is the perfect place for a relaxing break. 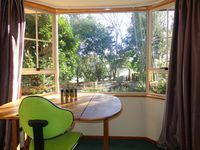 Property 43: Ohoka Park Country Retreat is the perfect place for a relaxing break. Christchurch Country - Ohoka Park; 20 mins from Christchurch Airport & CBD. 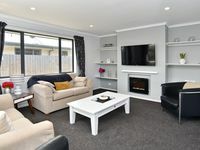 Property 44: Christchurch Country - Ohoka Park; 20 mins from Christchurch Airport & CBD.